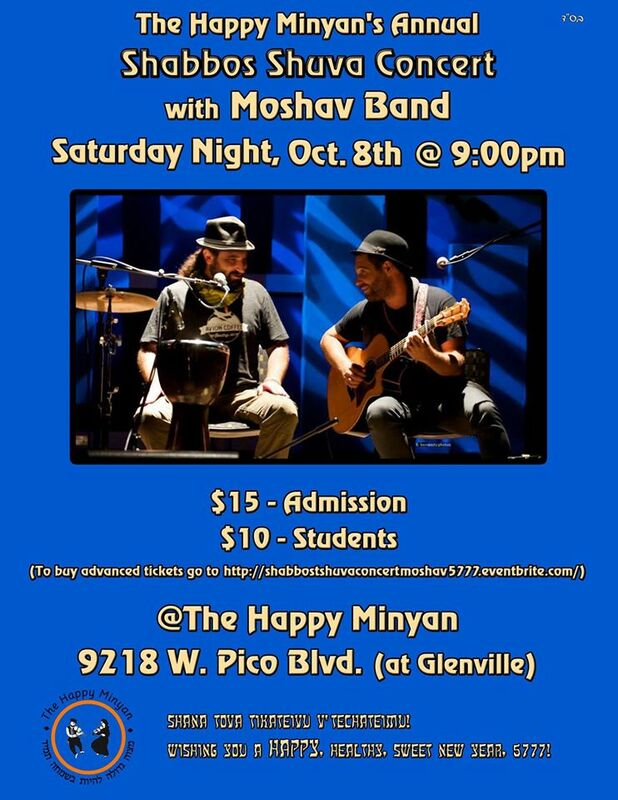 Dovid Swirsky and Yehuda Solomon of the Moshav Band returned to their home-base for the Happy Minyan's annual, Shabbos Shuva Concert on Saturday night 8 Oct. 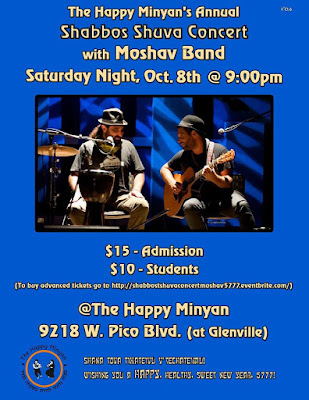 The band, known for their original, spiritual and Zionistic pop-rock songs, took and played a number of requests from their audience in this intimate setting, some of which are shown here through JooTube's original chronicling. The duo were joined (separately) by Breslover singer Moshe Storch and rapper, Kosha Dillz. (Click to play, click to stop). Please help equip JooTube to replace damaged publishing systems. JooTube has served you with no-advertising or marketing - just producing and publishing original-video news for 10-years. Donors receive blessings (especially around Yom Kippur week) if keeping JooTube shining its lights amidst the darkness. Click this link - your donation of $50 or more will enable us to continue publishing video news. May you be inscribed for a good and healthful year!